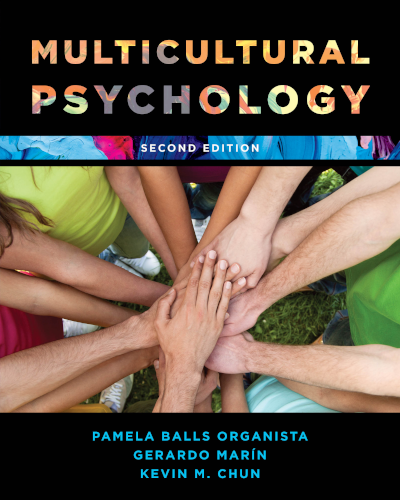 Welcome to the Companion Website for Multicultural Psychology, Second Edition, by Pamela Balls Organista, Gerardo Marin, and Kevin M. Chun. This research-based and highly applied text aims to increase students’ sensitivity, awareness, and knowledge of ethnicity, race, and culture and their influence on human behavior and adjustment. A diverse and highly respected team of authors effortlessly weaves together theory with the latest research on ethnic and racial minority groups. This open-access Companion Website is designed to reinforce the concepts covered in Multicultural Psychology, Second Edition. You can review and enhance your understanding of each chapter using the interactive flashcards, self-graded quizzes, and supplemental web resources. Teaching materials include a test bank and PowerPoint® slides. Instructor ancillaries are password-protected. For access to the teaching materials, please visit Multicultural Psychology and Sign in if you are a registered user. First-time users should Register then email us at textbooks@rowman.com.